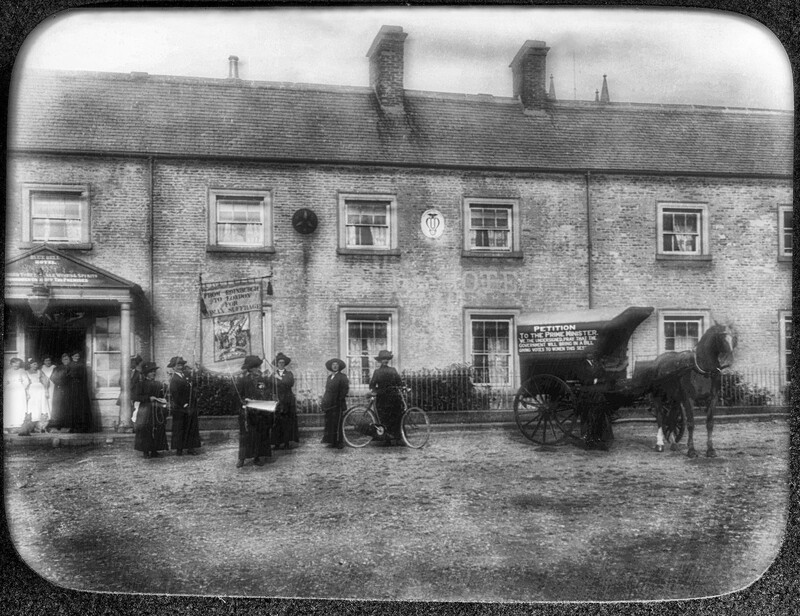 The women marchers outside the Blue Bell Hotel in Belford. A Women’s March from Edinburgh to London in support of Votes for Women took place in 1912. Seven women covered the entire route on foot, led initially by women on horseback and were joined for shorter stretches by supporters along the route. They followed the Great North Road, passing through Berwick, Belford and Alnwick.